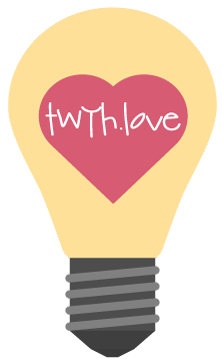 Become a TWYH member to gain access to the popular 5D report, but most importantly for the ability to participate in the internal community of awakening souls that makes TWYH so special….a truly unparallelled social network of like HEARTs & minds, a support system like none other on the web. Join us! Monthly Articles dedicated to our expanding consciousness via the process of ascension, descension & embodiment. The report serves as a guiding light in these challenging times of global transformation, assisting those ready to move into a unified state of existence to experience harmony with all of life. “Transformation tools for the Self-initiated”. A collection of ebooks, eguides, ecourses & eprograms designed to assist you through the journey of awakening to your full potential. These tools were/are are created through my own ongoing activation of higher consciousness, spanning from soul defragmentation to unity creation. "Absolutely BRILLIANT!!!! So well written and such attainable information. You are beyond inspiring!!! I feel like your writing is really accessible, you have such an amazing gift for packaging profound messages into approachable, enjoyable reading." "I feel the need to reach out and tell you how grateful I am for the messages you bring that validate my experiences and thereby give me strength to soldier on. When I read the 5D report and it echoes my experience I realize all over again this is all real and all has purpose." "I just read Casual to Conscious Creation. IT BLEW MY MIND! At the last couple of pages the LOVE pressed me so hard all over the whole body it stopped my breathing and made me cry - how awesome! Thank you so much. I do not stop to wonder how I can love so much someone I have never met, nor spoken to?!" "I just wanted to let you know how much I'm LOVING Cell Speak!!! Yesterday's lesson was AMAZING!!! Omg, and today's is amazing too!!! I'm simply loving all of the wonderful information and I feel so empowered to be the best possible me imaginable!" "Thank you for the 5D Report. It is guidance sorely missed when not there. And when it comes, each time I feel profoundly gratified to experience such great validity of what has been going on with me, expressed so clearly and always in there somewhere, your make-me-laugh-out-loud humor. Thank you for bringing to us such helpful messages from HOME. " "THANK YOU THANK YOU THANK YOU for the Create As LOVE course! I am so grateful for the innumerable ways this course has been a source of support for me as I continue to move forward with the Being and Creating! " "I just wanted to say how delighted and grateful I am for Causal to Conscious Creation - oh man, so cool, so YOU, so delicious! This is GENIUS. This creation a perfect example of everything I love about who you are and how you express yourself. You always find the most graceful and massively enjoyable ways to express - fully authentically and accessibly - so much LOVE wisdom and intelligence in effortlessly understandable ways." "As always you provide the validation so emphatically for where we are at. Perfect timing, perfect words – your command of language to describe the indescribable is a gift. You enable us stand tall in our everyday life. Thank you."